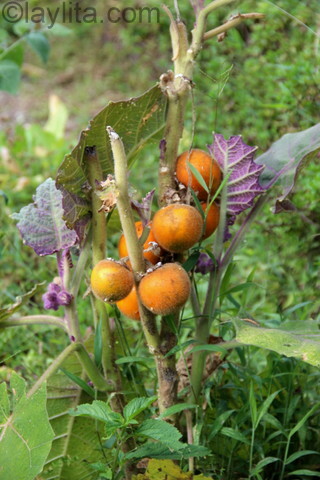 Naranjilla is a very popular fruit in Ecuador and other Latin American countries. 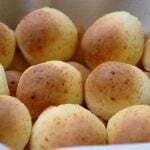 It is also known as lulo, obando, cocona, or nuqui. 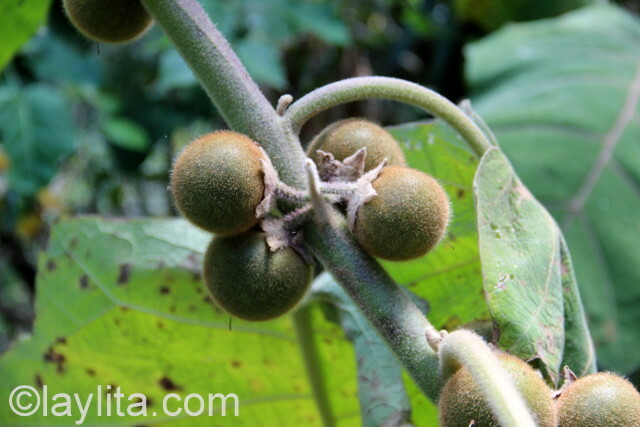 The word naranjilla translates as small orange; however the taste is very different than an orange – it has a very tart and acidic flavor. 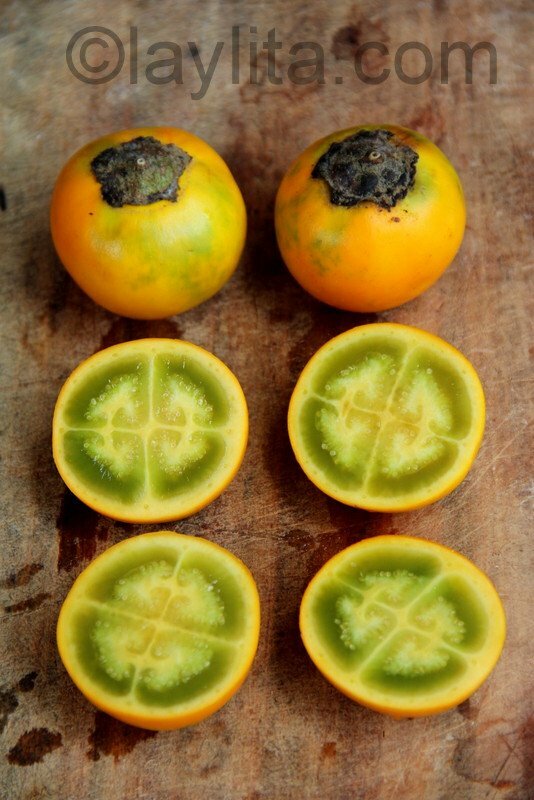 The inside of the fruit actually looks more like a tomatillo than an orange. 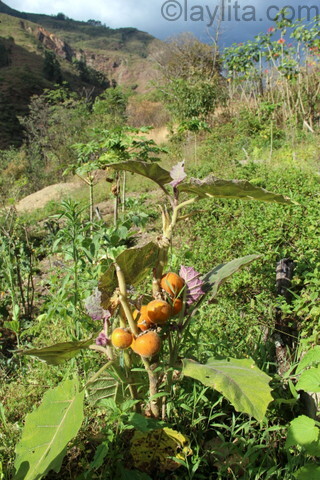 One of the main uses of naranjillas is to make juice, it’s one of my favorite juice flavors – and it also works well with many other fruits in juices or smoothies. 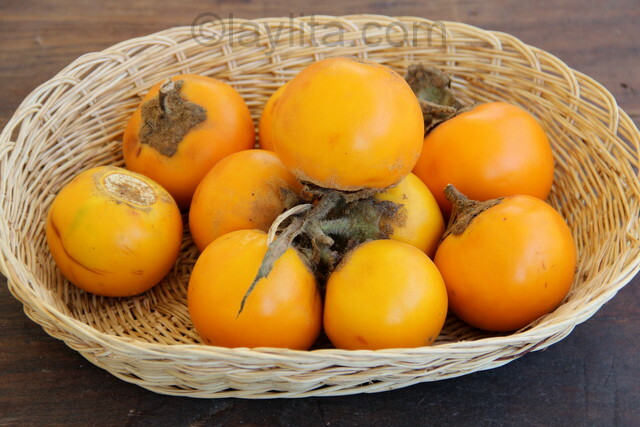 They can also be used in a variety of dishes from desserts like ice cream and tarts to savory dishes like secos or meat stews. 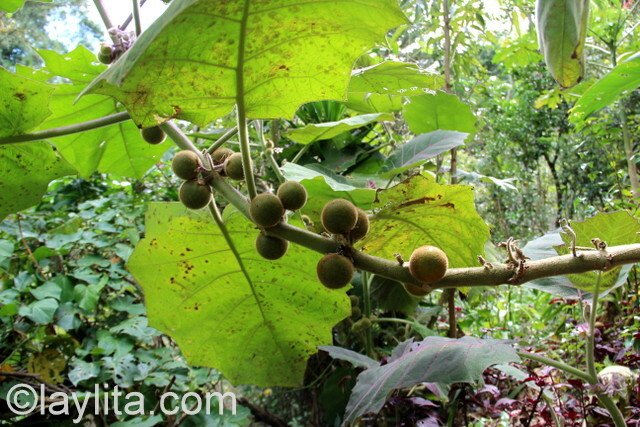 They are also amazing in drinks like colada de avena or cocktails like naranjillazo or aguardiente sour. 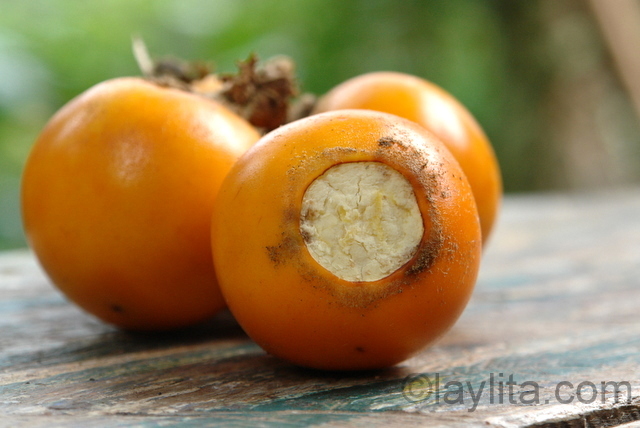 It’s very difficult to find fresh naranjillas or lulos in the US, however most Latin grocery stores carry frozen concentrate that works well for most recipes and dishes that require it. 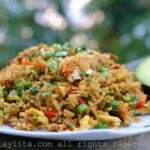 You can also occasionally find the whole fruits frozen or canned in syrup. 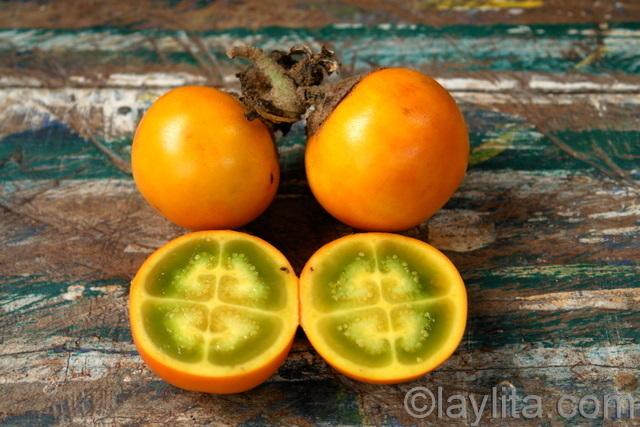 I was able to successfully start growing a naranjilla plant when I lived in Austin, TX, but it died when the first frost hit – if I ever have a greenhouse I will try growing them again.